Image: 'Walworth Lady', 2008, Steel, by Sokari Douglas. Meet the internationally renowned sculptor, Sokari Douglas Camp. 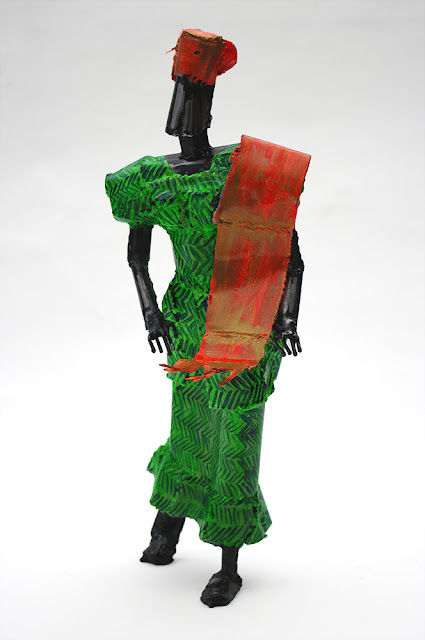 Her sculptures, often larger-than large, moulded in eye-stinging greens and crimson rich reds, draws the eye back to the artist's inner landscape and cultural heritage.. It's definitely a great cultural piece. Love the colors.